JetBlue Airways high-speed wireless initiative is being held in a flight pattern until “early 2013,” apparently. 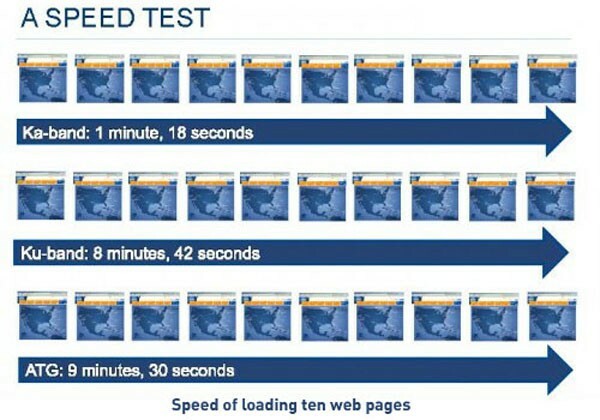 The company announced as much in a detailed blog post this afternoon, which also compared speeds of its forthcoming in-plane high-speed internet to the competition — JetBlue’s Ka-band operates roughly eight times faster than the Ku-band competition, and over nine times faster than ATG. Moreover, Ka-band can scale to a full plane of passengers, meaning everyone gets the “at-home experience” they’d like regardless of how many folks are signed on. As previously noted, the “basic Wi-Fi” service with JetBlue will cost nothing — which sounds to us like there are plans to reveal a more expensive tier (or tiers) in the near future. But then again, we really like free things.